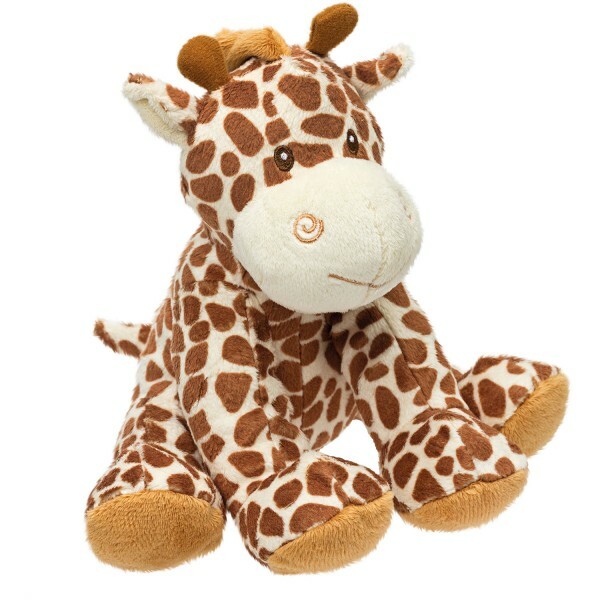 For cuddles here's Bing Bing Giraffe. This makes an adorable companion from babyhood to toddlerhood. Caramel coloured animal print, embroidered facial details and little horns. From birth upwards.